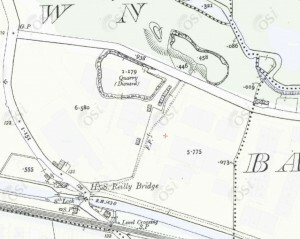 This is part of an Ordinance Survey map of the area around Reilly’s Bridge. 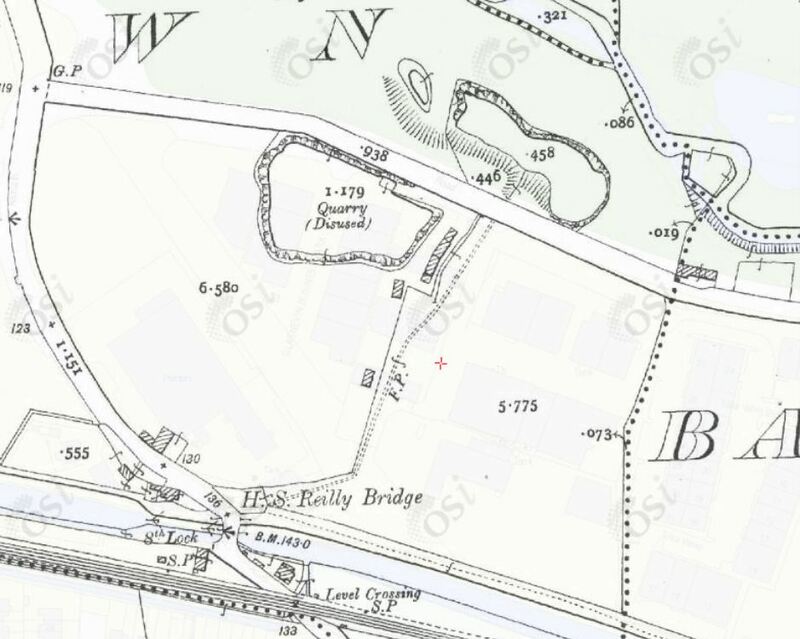 My brother remembers the disused quarry being there when our family fist moved into Cabra. He told me of a time when a young boy fell in and drowned. Above the quarry to the right is where the Baths was. Most of the houses around the bridge were still there in my time. This whole area was once considered as County Dublin. If you click on the map it will enlarge.